4Media HD Video Converter has introduced NVIDIA CUDA and AMD APP technology, making video conversions 5x faster. Click here for details. With HD Video Converter, you can now output videos on PS3, Xbox, Apple TV, iPod, iPhone, and a whole array of portable multimedia devices! It's simple to use, interface allows you to drag and drop, get snapshots when previewing, set several output profiles for the same source to convert HD videos, and adjust various parameters like bit rate, frame rate, sample rate, and so on. Much like the AVCHD Converter, the 4Media HD Video Converter can assist you in converting AVCHD (mts, m2ts) to AVI, MPEG, MP4, etc. You can convert all general and HD videos to standard videos: HD AVI, H.264/AVC, H.265/HEVC, HD MPEG4 TS, HD MPEG2 TS, HD WMV, HD Quick Time, etc. using this HD converter. 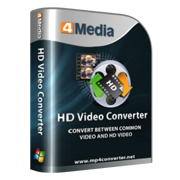 4Media HD Video Converter auto detects your CPU and supports multi-core CPU providing you with the highest conversion speeds. 4Media HD Video Converter does not only convert between video formats, but also converts video and audio into other audio formats and supports CD decoding. It's also possible to batch capture pictures from videos. This HD converter contains lots of ready-to-use video and audio formats classified by device type (iPod, iPhone, Apple TV, PSP/PS3, Xbox, etc.) making it easy to pick out the right format. This comprehensive HD converter allows you to set multiple formats at one time to get multiple target files from the same source. 4Media HD Video Converter lets you pick your favorite part of a video and convert it by specifying a start time and duration in "advanced settings". Supports NVIDIA CUDA & AMD APP technology to improve the converting performance to a large extent. Output converted videos to iPad, iPhone4 and etc immediately after the conversion is done. Run 4Media HD Video Converter in the back background, also pick post conversion actions including exit program, hibernate, stand by, and shut down. 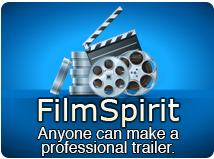 Preview HD videos before conversion and take a snapshot of any video frame during preview. The player can be switched to stand-alone with an adjustable aspect ratio (4:3 and 16:9). Selectable languages of this HD converter includes: English, German, Chinese and Japanese; choose from several interface skins to match your taste; supports power management.